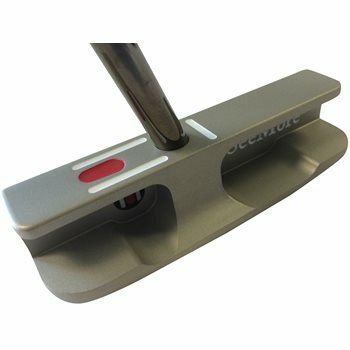 The SeeMore Corona Del Mar FGP putter is constructed of a cast 303 stainless steel with a thermo plastic urethane (TPU) Poured and Milled Face Insert. The patented RifleScope Technology (RST) alignment system provides a true reference point for optimized alignment on every putt. It also features a full toe hang and has a single white alignment score line which allows the putter face to be square at address and impact for increased accuracy. Features a full toe hang and has a single white alignment score line which allows the putter face to be square at address and impact for increased accuracy.